Christian Comedian, Chonda Pierce, often billed as the “Queen of Clean”, brings her trademark combination of fierce wit and Southern Charm as Host of Dove Channel’s Chonda Pierce Presents: Stand Up For Families, a hilarious and clean stand up comedy special aimed at families. Pierce is the RIAA (Recording Industry Association of America) certified top-selling female comedian of all time. Pierce recently starred in "Laughing In The Dark," a powerful feature documentary documenting her struggles with depression, which was a sold-out Fathom Event and grossed over $1.1M at the domestic box office in just two nights. She has received five Daytime Emmy nominations and has served as host of the Inspirational Country Music Awards and Christian Music Hall of Fame Awards and also co-hosted the GMA Dove Awards in 2012. Her comedy is regularly featured on XM Radio’s Laugh USA and Sirius Satellite Radio’s Blue Collar Comedy. For this stand-up comedy special, Pierce has invited some of her favorite guest comedians include Bone Hampton (appearances on ABC’s The View, Woodlawn, Thou Shalt Laugh 5), Sandi Joy (2013 US Winner of WalMart’s Got Talent” competition), Cleto Rodriguez (Promise Keepers Tour, Laughaluja Tour), and Nazareth (appearances on Comedy Central and TBN). 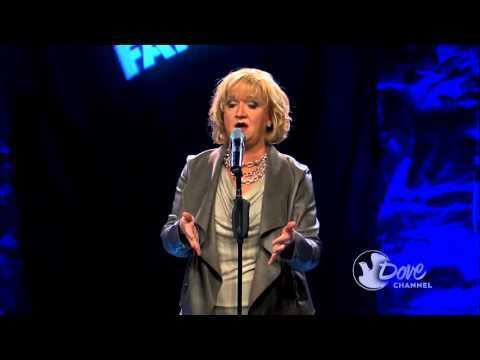 Chonda Pierce Presents: Stand Up For Families carries the Dove Seal of Approval for All Ages. Language: H*** is mentioned as a place on several occasions. Other: Jokes about stereotypes and the pastor's fly being open. Chonda Pierce | Comedy | What's in a Name?